Arca Noae’s S/390 Backup Facility is a self-booting, self-contained, no-installation-required, CD-based utility, providing for the quick backup and restore of one of these original Single Board Computer systems or a more modern replacement. 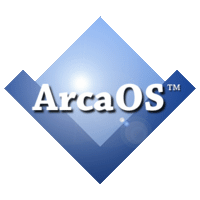 Built on ArcaOS, this invaluable application suite brings you peace of mind and system recovery capability as never before. Back up to multiple USB devices & restore the entire disk array, including all partition data and files, or just a single partition. In fact, if all you need to recover is a single file, that’s easily done, as well. Licensing for the S/390 Backup Facility is per-site, so with one purchase, all IBM Multiprise® 3000 Support Elements in the same location are protected. One full year of technical support is also included. This entry was posted in Arca Noae, New software releases and tagged arcaos, backup, bootable, cd, ISO, mainframe, mutiprise, s/390, support element, system 390 on December 28, 2018 by Lewis Rosenthal.